MUMBAI: The beautiful Rishina Kandhari is reentering SAB TV’s Tenali Rama (Contiloe Pictures). 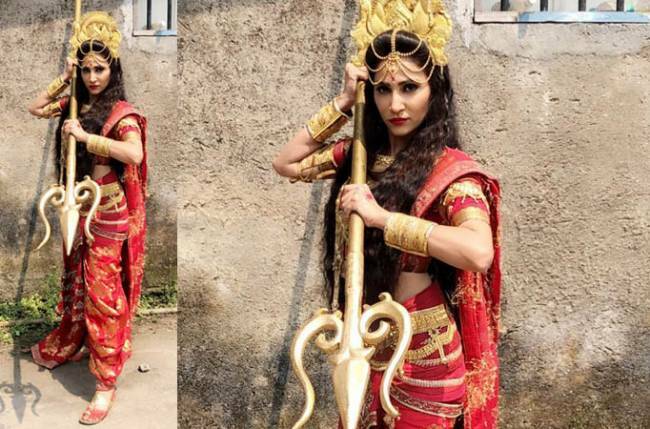 Earlier, the actress played the character of Goddess Laxmi, and this time, she is returning to the show to play nine different avatars of Durga. As the auspicious festival of Navratri has begun today, the makers are rolling out a special track where Durga Maa will help and guide Tenali (Krishna Bharadwaj). Keep up the good work, Rishina!